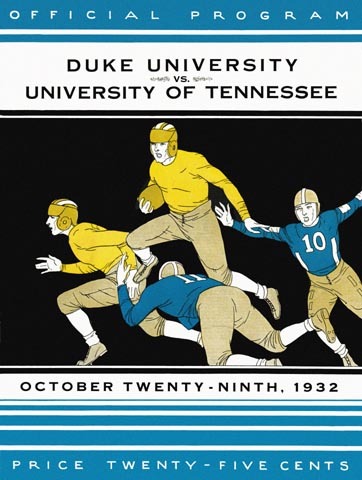 When Wallace Wade came to Duke in 1930, the Blue Devils immediately began a long run among the national football powers. But under General Bob Neyland, the Vols were building an even better tradition. This nail biter in Knoxville, which enabled Tennessee to go on to an unbeaten season, was typical of the sort of games that these two teams staged throughout the decade, as each of them held serve on their own home fields.